Yangzijiang Shipbuilding reported on Wednesday that its third quarter net profit fell 10 percent on-year to 778.63 million yuan amid higher expenses, but it still beat some analysts’ forecasts. CapitaLand said on Thursday that it is launching a multi-label, flexible store area called NomadX at Plaza Singapura which will tie facial recognition technology to its loyalty program, CapitaStar. It will also incorporate other technology, such as smart mirrors, interactive product walls and cashless payment services, it said. The 11,000 square foot store area will offer short-term leases and flexible infrastructure, such as modular panels, to allow tenants to be “nomadic” and experiment with retail offerings before a wider rollout. Among NomadX’s original 18 tenants, Alibaba’s Taobao is opening its first physical outlet in Singapore, it said. Contract manufacturer Hi-P International reported on Wednesday that its third quarter net profit fell 11.9 percent on-year to S$33.80 million amid lower revenue and as margins fell on more competitive pricing and lower yield from some new products. 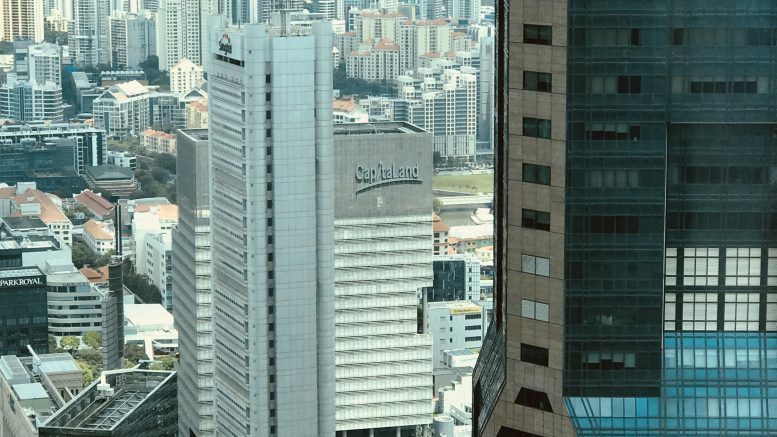 OUE Hospitality Trust reported on Wednesday that its third quarter net property income fell 1.4 percent on-year to S$29.1 million amid lower revenue from both the hospitality and retail segments. CapitaLand Mall Trust said on Thursday that the 134.09 million new units in its private placement last month have been issued and will egin trading on SGX on Thursday at market open. That brings the number of CMT units in issue to 3.68 billion, up from 3.55 billion, it said. Banyan Tree Holdings said on Wednesday that it completed the sale of its entire asset portfolio in Seychelles, which included the Banyan Tree Resort and all the land plots there. The Seychelles subsidiaries have ceased to be Banyan Tree Holdings subsidiaries, it said. This article was originally published on Thursday 8 November 2018 at 8:08 A.M. SGT; it has since been updated to add an item on Yoma Strategic. Would an M1 deal be a play on Singapore telco consolidation?